Mark has been involved with surgical volunteer missions for decades, alongside organisations such as Rafiki, Interplast and Operation Rainbow. Operation Smile is an international non-for-profit surgical group aiming to perform life-changing plastic and re-constructive surgeries in developing countries. 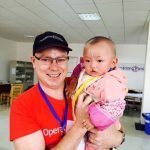 Mark aims to volunteer for an Op-Smile mission every year and has completed the following missions in previous years. 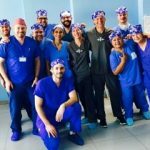 In March 2018 Mark joined a large Operation Smile surgical team in Agadir, Morocco. Over 400 children were screened and 197 had their cleft lips and cleft palates repaired. A hugely successful mission! 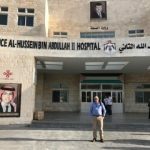 In March of 2017 Mark joined an international team of surgeons in Amman, Jordan. 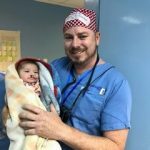 Surgeons from Australia, South Africa and the USA joined local surgeons for a week long Operation Smile Cleft mission. In 2015 Mark travelled to far western China’s Gansu provence. An international team merged with local Chinese surgeons on a cleft lip and palate mission in Linxia City. 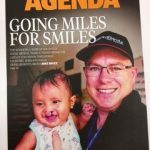 Operation Smile is an international non-for-profit surgical group aiming to perform life-changing plastic and re-constructive surgeries in third world countries. 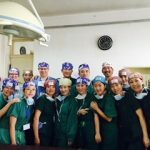 Dr Mark Lee was part of a team of 25 Australian surgeons which visited remote areas of Cambodia to perform volunteer surgeries. 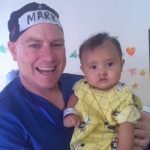 Dr Mark Lee spent a week and a half performing the surgeries on both adults and children with cleft lip, cleft palate, and burns. Dr Mark Lee joined Victorian plastic surgeon Dr Darrell Nam and anaesthetist Dr Vernon Moo in the Solomon Islands in June, spending two weeks operating on children and adults who would otherwise not be able to afford access to such services. Surgeries performed included cleft lip and palate repairs, removal of tumours and burn contracture repairs. The doctors also empowered the local medical personnel by building their surgical skills in order to continue their work. 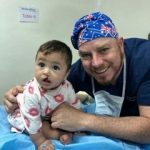 Dr Mark Lee joined local specialist plastic surgeon Dr Mark Lee Hanikeri in The Philippines, spending five days operating on over 80 children in need of cleft lip and cleft palate repairs. The legendary Wilma Dunne coordinated this mission which enabled this rewarding work to continue, bringing hope to local families. 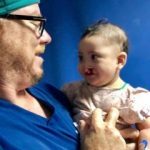 Dr Mark Lee and fellow specialist plastic surgeon Tony Baker, along with anaesthetists Ross Ireland and Barney Creswell, spent two weeks operating on over 50 children and adults in Bugando Hospital. 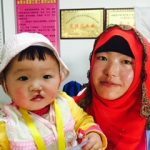 Our practice nurse at the time, Caroline, joined the team to assist with surgeries that included cleft lip and palate repairs, burn contractures and reconstructive microsurgery of unusual facial deformities. Dr Mark Lee and Tony spent time teaching both the local surgeons and nurses new skills in order to continue this valuable work. Dr Mark Lee and local specialist plastic surgeon James Savundra, local anaesthetist Andrew Wilds and nursing team led by Meg Twine operated on 40 children and adults over a two week period. 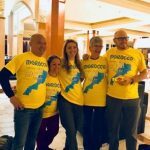 Dr Mark Lee joined New Zealand surgeon Jesse Kenton-Smith, local Anaesthetist Craig Schwab and Senior Plastic Surgery Nurse Gillian MacCallum, on a two week surgical mission in Tonga. Over two weeks, 70 children and adults were operated on with a mix of cleft deformities, burn scars and tumours. Plastic surgery skills were taught to local surgeons and nursing staff to continue to help the local community. Dr Mark Lee joined US Surgeon Michael Goldwasser for two weeks with a largely Australian team of nurses run by the legendary Wilma Dunne. Over 50 children with cleft lip and palate deformities were operated on in two Philippine cities.